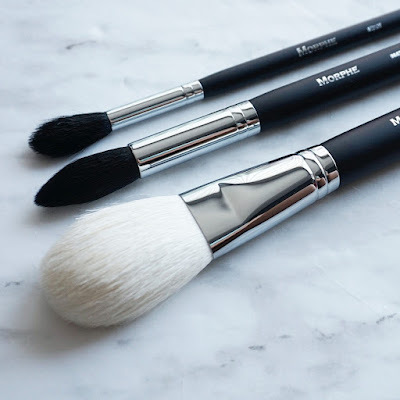 I've been subscribed to the Morphe Monthly Brush Club for four months now, I started it in January 2016 and while I thoroughly enjoyed the variety of brushes that were sent to me, with mixed feelings I have cancelled my subscription service. Please continue reading to see my thoughts of my 4-month long relationship with Morphe. 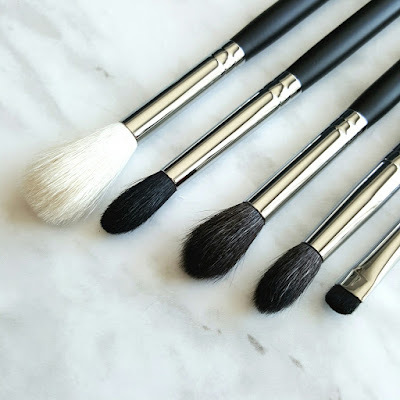 I think that this subscription brush club is perfect for both beauty fanatics who truly believe that you can never have too many brushes, or for the beginners who are looking to build their brush collection. For $19.99 USD and free shipping per month, you have the opportunity to test out many different types of brushes which you may not have thought of trying before, or been exposed to otherwise. For those of you from Canada like me, you end up paying about $30 a month everything included. That is what I paid for the 4 months - not sure if it's the same now or if the varying exchange rates affect the cost because the $19.99 is in USD. 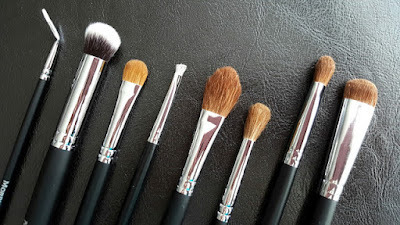 You get a great range of products - if you get more brushes that month, like in Janaury, the brushes unfortunately feel like they are of lesser quality. However, on the months you are sent 3-4 brushes, they are of great quality and I guess that makes up for the difference in quality. Below I'll do a quick sum-up of my thoughts on each month's brushes. This was my first month receiving the brushes and I was pretty excited to see that it included 8 brushes all together. My favorite brush is the one that is 2nd from the left. I use it to apply concealer and it leave a perfectly airbrushed finish. The other brushes felt a bit lower quality and I didn't really see the need or purpose for the other 7 except for maybe the angled eyeliner brush and the flat shadow brush (both directly left and right of the concealer brush I mentioned above). Unfortunately the big fan brush came damaged and no matter how many times I tried to wash it, or lay it flat to dry or weigh it down, I couldn't get get the bristles to bend back straight. You could contact customer service if your brush came damaged, but honestly I couldn't be bothered. It seemed like a lot of time and energy over a minuscule thing, It was one out of 7 brushes received that month. I'm simply mentioning this in full disclosure to my readers. This month was a huge and significant improvement than the months before. I really enjoyed the big fluffy white brush for bronzer or a light contour on the cheek bones. The first brush on the top was perfect for hilighting and the middle brush was just right for the undereye powdering. 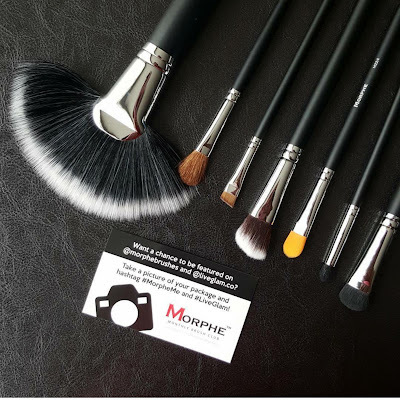 This is my last subscription with Morphe and I am glad that I am leaving on a high note. 5 brushes, all useful and for once I don't have something similar to any of these. Like I said, this subscription box is perfect for those who are either brush fanatics or are looking to start a brush collection. I use the Dr. Bronners liquid soap (diluted) to clean these brushes and I have not encountered any issues at all with shedding. I've bought Morphe brushes 2 years ago at IMATS and to date they are still of perfect condition.